Here at River Ventures we take our role in manatee education and general conservation seriously. Like many tour Companies we do our best to keep up with customer demand, service and the day to day operations but we have been making more and more of an effort to go as 'GREEN' as possible. We know that small changes make a difference, and we encourage our visitors to take these lessons home with them. We have been working hard over the last couple years to evolve into a more environmentally sensitive operation... we must practice what we preach! Many of our customers are surprised to see that we have switched from using plastic bags to paper bags for wrapping all of our merchandise. We thought this small change would be overlooked, but every single day our customers thank us for this. We are so happy you noticed! Even though we have made many positive adjustments already, we have a few more goals for 2019 that we will be putting into effect soon... and we want to encourage all other business owners to start making these small, relatively painless changes. Small changes add up to big differences! In 2015 we started an in-house recycling program. 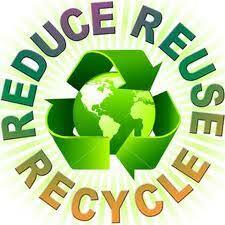 We have reduced our trash to landfill contribution by over 50%. Yes, that's right, we produce 50% less garbage then we did a few years ago!! In the beginning we were not sure how much of a difference it would make, but we are very proud of this accomplishment! We have went to online photo packages to eliminate the waste heavy, outdated photo cd's. This also eliminated thousands of plastic cases, stickers and non-recyclable discs that could sit in landfills for hundreds of years. We still offer a USB option (low waste), but the online links are available immediately from a mobile device, and are becoming more and more popular! In 2011 we were the first in the industry to go to a paperless booking system. No longer do we have a reservation sheet for each and every customer, and we do not need a printed voucher for tours. All info is online, including a paperless emailed confirmation and receipt. Daily, we no longer use paper manifests....we use a wipe off sheet with markers. We use these laminated sheets hundreds of times instead of one every single day! In 2016 we started using post-consumer recycled cups for our hot beverage service service. We have now shifted to cups that are recycled, and can be recycled again! We have also posted signs to encourage our guests to reuse their cups. This costs the boss a little extra per guest, but these cups break down in days, not years! Did you know that Styrofoam cups take more than 500 years to breakdown, creating poison by-products?? Paper not plastic! No longer using plastic bags to wrap our merchandise keeps hundreds of plastic bags out of the environment. Did you know that a plastic bag may NEVER break down, and also uses poisonous chemicals to produce. No more plastic stir sticks for coffee service! Only bamboo is used around here. These contribute to businesses in third world countries and breakdown in a few weeks. Supporting local artists and businesses as well as companies that give back to the environment. Examples would be our wind chimes made of reclaimed glass cleaned from the ocean. We also are one of the local suppliers for 4ocean, not only are their bracelets made from plastic pulled from the waterways of Florida, but each and every purchase pulls one pound of waste from the ocean. We checked on the legitimacy of this company, and they are sending out DOZENS of boats EVERY day collecting waste and making a huge impact! We KNOW we make a difference by supporting them, their manatee collection and coral bracelet collection are huge sellers! Many of us volunteer for clean up events, eel grass plantings to resurrect the local environment, we even sell boat rides at all the festivals to raise money for the community. Education is probably our biggest contribution to the area, with hundreds of walk ins weekly wondering what they can do to make a difference! We've planted a butterfly garden, herbs and indigenous landscaping to encourage all the positive and beneficial creatures that need a safe zone and a food source. We even put in a small fresh water pond, where we propagate our own eel grass! As spring arrives, these areas will burst to life with bugs and blooms! This year we resolve to do even more! Our vessels will no longer carry plastic water bottles for our customers, but we will provide large containers of filtered water with ice and recycled paper cones for a quick sip of refreshment! This may complicate our operations, giving our hard working crew more responsibilities but it's something that we truly believe in! We aspire to do away with our paper liability forms and move towards online forms that will be honored by our Insurance Company. This get us one step closer to being completely paperless! When in doubt... GO GREEN! Many people find it frustrating to make changes, when their neighbors do not. But mentor the resistant. Stay strong and hold true to doing what right for Mother Nature, not just convenience. Inspire the hold-outs by being a positive example! If we all make changes, and SUPPORT others that make changes... we can truly change the world!! This planet does not belong to us... we simply get to borrow it from the next generation.